Nothing seems impossible for Niklesh Sharma, who works with the best pastry chefs in the world. Niklesh changed the model of pastry training for the entire Asia Pacific and Middle East. 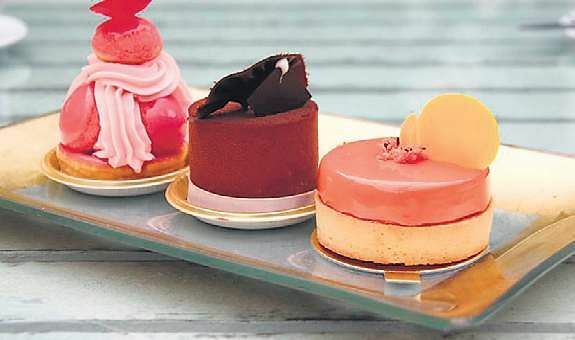 As Managing director and executive pastry chef of The Academy of Pastry Arts group, he oversees the operations of the institute in Malaysia, the Philippines, Delhi-NCR and Bengaluru. A team of more than 40 chefs work with the academy as in-house and guest faculties. Niklesh’s team comprises world-class chefs and experts. Until recently, students had to fly to Europe for such training programmes in pastry-making. “Students not only get a training that is on par with the institutes in Europe, but also get their cost of education cut by 60 per cent,” says Niklesh. “They get access to the best ingredients, latest technology and equipment and the guidance of skilled chefs from the industry. The academy imparts hands-on training rather than resorting to regular classroom lectures. Niklesh has a bachelor’s degree in Hotel Management and several years of hands-on experience in world-class hotels. “Students should get all forms of exposure while they are in the pastry school, so that they can enter the industry with more confidence,” he says. His baking team in India has won national and international competitions such as the gold medal in India Pastry Cup in 2015 and a bronze in Asian Pastry Cup 2016 in Singapore. They represented India in the World Pastry Cup 2017 in France and the Junior Pastry Cup 2017 in Italy. 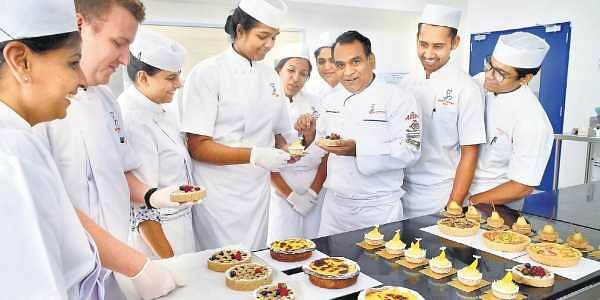 “The Academy of Pastry Arts India has been around for two years. I had a dream to see India qualify for the World Pastry Cup in France in 2017. I’m happy the team has been able to fulfil so much within a short span of time,” he says.